Atidan and our partner, BrightWork, have a gift for you: free project management templates to help you manage projects using out-of-the-box SharePoint. And they’re yours for free! 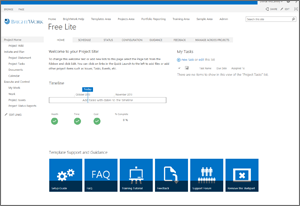 Get started fast with the Lite template that gives you just enough project management to create and track a project on SharePoint with the greatest of ease. 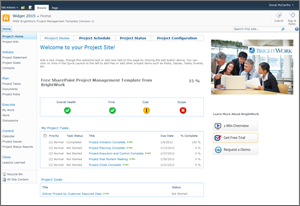 Add extra project management with the Structured template that delivers a more coordinated environment to manage a project on SharePoint – along with an optional sync to Microsoft Project Professional. Access to the Free Templates Community for helpful tips, more free resources and guidance information from other free template users. The templates will run on all versions of SharePoint 2010 and 2013, including Office 365. You select the version you want to download after registration.